DiaCam360, the company that has conquered the international diamond trading community's heart with its small, portable, effective and affordable camera that creates high quality photos and 360-degree, interactive videos of polished and rough diamonds, announced it will introduce the latest, improved model of its camera during the upcoming International Diamond Week in Israel (IDWI) which will be held February 14-18 at the Israel Diamond Exchange. As we are always looking to adopt new technologies and improve both our software and hardware, our latest upgrade allows users to manually adjust color balance, and faster upload and download each scan, " said Lior Hirsh, ShirtalDiaCam's CTO. "We also have improved the sharpness and brilliancy of the images, fine-tuned the camera's zoom options and enhanced the controls of the window's viewing size." 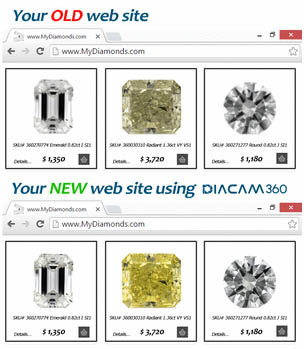 DiaCam360 users daily email hundreds of diamond images to their jewelry manufacturers and retail clients. "In addition to the 360-degree view, we now also provide a 'spin from girdle to girdle,' offering clients, as well as the consumer which retailers show the images to, a completely different perspective of a diamond!" 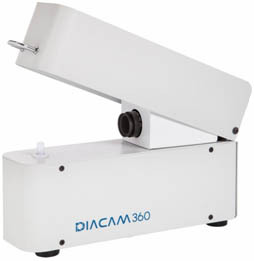 DiaCam360 will be demonstrating its latest model at the IDWI's DiamTechexhibition during which Israeli companies will be showing the latesttechnological developments for the diamond industry and trade. "While currently DiaCam360 offers its services from its offices in the Israel Diamond Exchange and the Diamond District in Manhattan, New York, DiamCam360 has entered into an agreement with GemLab in Antwerp to offer on-site scanning services," NimiSadi, ShirtalDiaCam's Marketing Manager reported. "We are also exploring entry into the Indian diamond market in Mumbai, and hope to be offering our service there soonest by means of a local partner," he added.